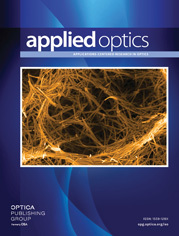 The authors are with University of Dayton, Center for Electro-Optics, 300 College Park, Dayton, Ohio 45469-0001. The authors also work in the Department of Electrical Engineering. An efficient algorithm for designing a serial and parallel multioutput logic unit using an associative polarization-encoded optical shadow-casting technique is presented. Devices designed as such have a unique content-addressable associative memory where each of the memory locations has dual addresses. For illustration, the proposed algorithm has been used to design a serial-output and a parallel-output 2-bit gray adder.